Tantra: The Cult of the Feminine reveals a practical and balanced, modern view of the secret teachings of Tantric yoga. Tantra, known in India for several millennia, brings us a different view of life, the world, and oneself which is at once new and archaic, exotic yet very close to the roots of each of us. Being neither a sect nor a religion, it is a yogic discipline that awakens not only the sacredness and magic of the sexual act, but of life itself. Andre Van Lysebeth is the foremost European Tantric author and teacher today. He was initiated into Tantra philosophy and practice by the late Nataraja Guru, He has practiced yoga since 1945 and founded the Belgian Yoga Federation and the European Yoga Federation in 1965, in cooperation with Gerard Blitz. He is also the editor of the French magazine, Yoga. His four books on yoga have become classics in French, and have been translated into fifteen languages. 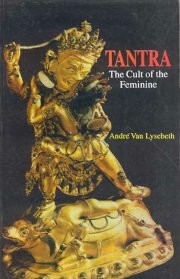 This book, Tantra : Cult of the Feminine, is the result of many years study.